When clients make tough demands, commercial products manufacturers that use 3D printing have the power to say yes to more opportunities. Designers and engineers can skip expensive, time-intensive machining and gain the agility to make changes any time. 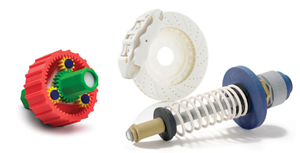 Our 3D Printing solutions let you produce concept models, prototypes, tooling and end-use parts directly from CAD data.